I am a big time lipstick hoarder and just cannot resist the urge to buy more and more lipsticks. Tip: To extend the wear of your lipstick, outline your natural lip line with a coordinating Jordana Lip Liner and fill in you lips before applying color. Packaging : This lipstick comes in a sleek packaging with a clear cap. The clear cap makes it easy to see the actual color of the lipstick. The color of the bottom half of the packaging matches that of the lipstick which helps telling the lipsticks apart if you have more than one of them. Texture : Being these are matte lipsticks I was expecting it to dry my lips but I have worn these almost everyday since I bought them and I can say they don’t dry out my lips at all. The formula is matte yet moisturizing. They feel very light and comfortable on my lips. Although It’s always best to exfoliate your lips before applying any matte lipstick but at least I do skip that part still they do not enhance fine lines or looks chapped. Pigmentation & Lasting : The pigmentation is perfection and all it takes is 2 swipes to give a pretty pink on the lips. it stays on me for 3+ hours and then it vanishes completely leaving no stain behind. Scent : It's fruity vanilla type scent very similar like of "Milani Color Statement Lipstick" the best part is it last for a while. Overall : These are great lipstick for every day wear and comes in variety of shades to choose from. It is moisturizing and doesn't dry out your lips. Lipstick might be drying for some. Stays put only for around 3 hours. Ok I am trying NOT to get tempted to get one of these lols! nice color payoff! Wear time is short, but they are priced good! 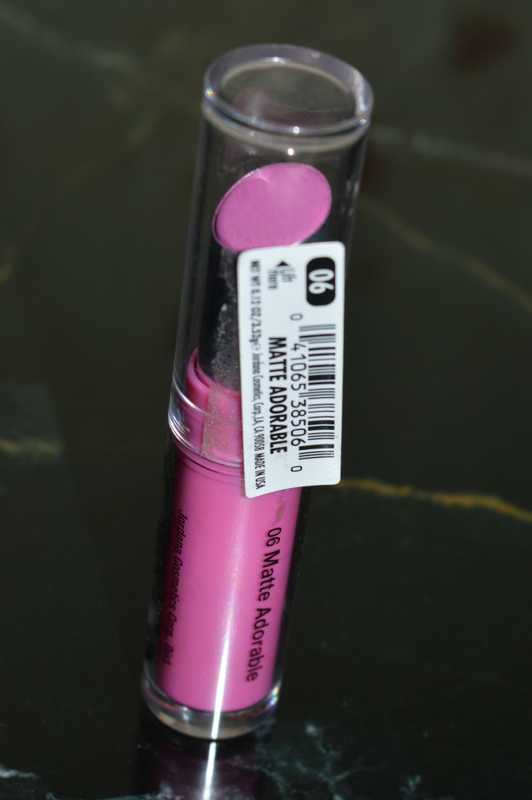 These lipsticks got raved when they came, need to check this one. Nice review. Thats quite pigmented. I dont like the packaging though.